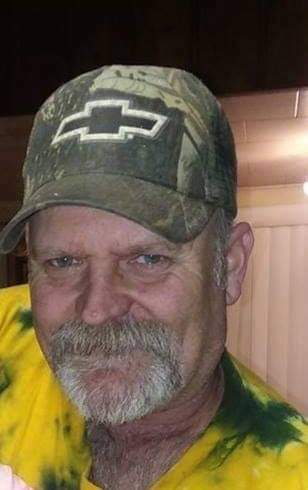 Age 55, of Napoleon Township, passed away unexpectedly at his home Sunday, January 27, 2019. He is survived by his wife of nineteen years, Lee Ann (maiden-Jones); two children, Travis (Rose) Davis and Tiffany (Tim) Covert; two grandchildren, Cayden Davis and Catherine Covert; sister, Lorrie (Brian) Bonner; special uncle, Allen Root; numerous nieces, nephews, uncles, aunts and in-laws. He was preceded in death by his parents, Ralph and Mary (maiden-Root) Davis; nephew, Randy Bonner; and partner-in-crime, John Carpenter Jr. (aka Ellwood). He graduated Napoleon High School in 1981 and was a long-time truck driver. He enjoyed gardening, hunting, snowmobiling and fishing. He was a loving and dedicated grandfather. Visitation will be held Friday evening 6-8 pm at Arthur-Day Funeral Home in Michigan Center. At the funeral home on Saturday, February 2, 2019 beginning at 11:00 am there will be a visitation and sharing of memories until a Noon Celebration Remembrance Service led by Mr. Huey Swager. Contributions in his memory are directed to his family.